THE BLACK UNICORN ANNUAL REPORT FOR 2019 COMES OUT ON AUGUST 7, 2019. IT WILL INCLUDE AN OPENING LETTER, THE JUDGES AND THEIR BIOS, FINALISTS AND WINNERS WITH COMPANY DETAILS AND CONTACT INFORMATION…. A Black Unicorn Award is among the most prestigious awards in the cybersecurity industry. Winning represents significant value. Whether you are a non-finalist nominee, a finalist or a winner, there are sizeable benefits for everyone. Being nominated highlights your incredible potential and an unbiased endorsement if you win. Our Judges are shaping the future of Cybersecurity and the world is watching and listening to them. Don’t be the world’s best kept InfoSec secret! Put your cyber-security company and innovations in front of powerful market makers, investors and buyers. Winners get the exposure they need for the growth they deserve. Fast-track your company’s success in one step: nominate your company and show us why you might be a Black Unicorn. What does a Finalist receive? You’ll gain amazing exposure and recognition through internet and media coverage. You’ll be listed as a finalist in the Black Unicorn Annual Report for 2019. You’ll receive an acrylic Trophy during Black Hat USA 2019 to proudly display at your booth and later at your office for your investors, board, management, employees and customers to see. You’ll have a red carpet photo-op during Black Hat USA 2019. Your red carpet photo-opp and the good news will be social media posted by us. You’ll be permanently listed on our website as a Finalist for 2019. You’ll receive an amazing Black Unicorn Trophy during Black Hat USA 2019 to proudly display at your booth and later at your office for your investors, board, management, employees and customers to see. This trophy is an absolute ‘stand out’ like you. You’ll be permanently listed on our website as a Winner for 2019. You’ll have your “Hotseat” turned into a podcast for streaming at CyberDefenseRadio.com. You’ll receive a free copy of the BLACK UNICORN ANNUAL REPORT FOR 2019 so you can see who three top market makers believe have the $1B valuation potential and the capability to reshape the future of cybersecurity for the better. 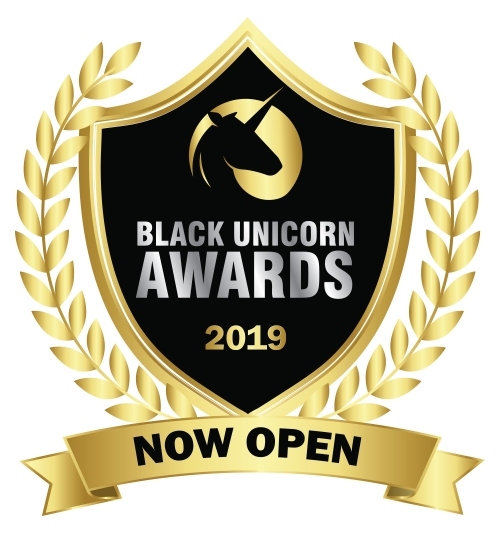 We already will be sending out copies to thousands but if you are not on our list, send an email to nominations@blackunicornawards.com with the subject line “Add me to the database for the Black Unicorn Annual Report for 2019” and we’ll take care of it.